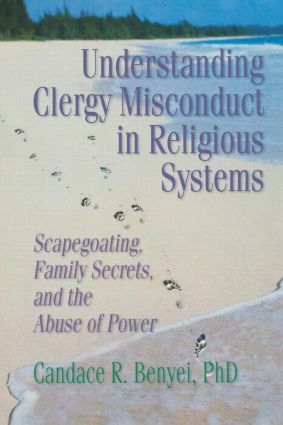 In Understanding Clergy Misconduct in Religious Systems, you’ll take an incisive look at why sexual misconduct occurs in religious systems and how to implement proactive strategies for holistic change. Applicable to both Jewish and Christian communities, this illuminating exploration takes a look at the psychology behind scapegoating, why it is perpetuated, and how you can quell the damaging tradition of silence. Understanding Clergy Misconduct in Religious Systems comes at just the right time--in an era when little has been written on the subject, especially from a systemic perspective, this work comes at a time when the phenomena of clergy sexual misconduct has rocked the very foundation of religious systems worldwide. Whether you’re a lay congregational leader, judicatory administrator, pastoral counselor, psychologist, or seminarian, you’ll find that the coping strategies and intervention techniques it outlines will guide you in pinpointing the sickness at its source and restoring felicity and order to your religious leaders and their communities.